New York City Health + Hospitals President/CEO, Dr. Ram Raju, addresses the over 200 attendees at the Doctors Council SEIU and NYC Health + Hospitals Joint System-Wide and Facility-Based Collaboration Councils meeting of frontline doctors and administrators. 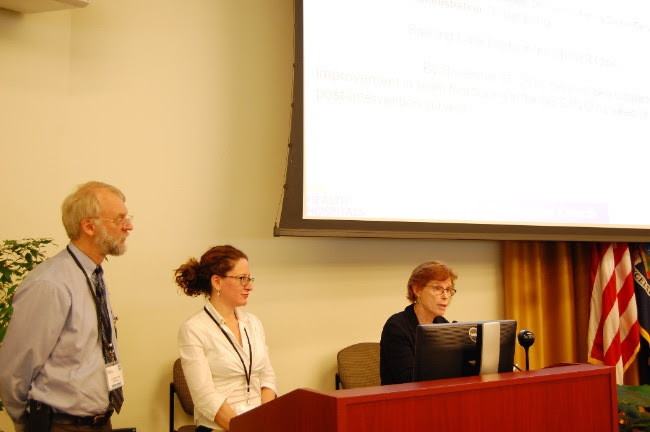 The staff of Baruch College had to wheel in more chairs for the overflow attendance at this first-ever joint meeting of executive leadership and Doctors Council members from all NYC Health + Hospitals facilities held in August. 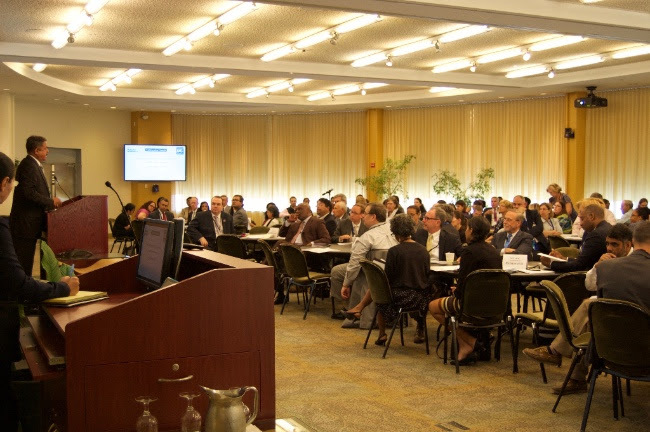 More than 200 doctor leaders came together to take stock and learn from one another at this most critical time in the history of public health in New York City. While the attendees received passionate support from Deputy Mayor for Health and Human Services, Dr. Herminia Palacio and NYC Health + Hospitals President/CEO, Dr. Ram Raju, the centerpiece of the afternoon was reports from every Facility-Based Collaboration Councils (FBCCs) on their projects and progress to date. (Above) Deputy Mayor of Health & Human Services, Dr. Herminia Palacio, addressing the meeting of doctors and administrators. 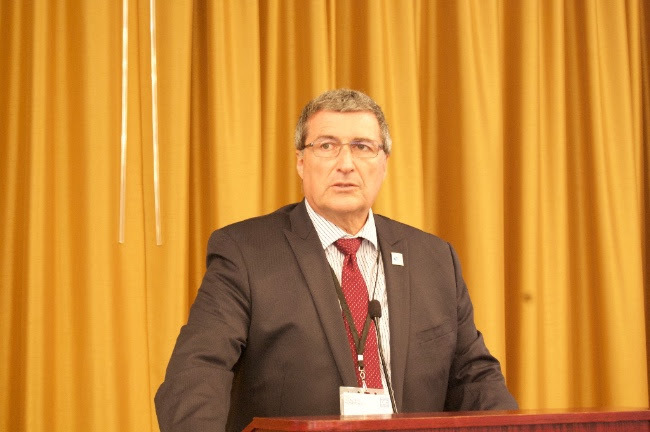 (Above) Frank Proscia, M.D., President of Doctors Council, addressing the meeting and noting how Doctors Council works with NYC H+H on the Collaboration Councils, as well as in many other ways, such as advocating for more funding from the federal, state and city governments. The journey that began in just February of this year has shown that doctor engagement is increasing through the patient-centered focus of each of our Collaboration Councils. Active participants in Collaboration Councils from across the system learned from one another how each facility is developing their improvement projects which are designed to improve the experience of our patients. AIM | What are we trying to accomplish? MEASURES | How will we know a change is an improvement? CHANGE | What change can we make that will result in an improvement? All of our Councils are using this approach and the learning tools from IHI which foster collaborative reflection on relevant data, collaborative brainstorming, collaborative decision-making, and collaborative execution. (Above) Joint frontline provider and administrator teams from all Health + Hospitals patient care sites, including hospitals, community based health centers and skilled nursing homes presented the progress being made on their first projects during the meeting. Here, the NYC H+H/ Bellevue Hospital FBCC team was represented by (L to R) Dr. Nate Link, CMO and Doctors Council members Drs. Caralee Caplan-Shaw and Sarah Williams (speaking at podium). All of these projects and many that are similar have clear data-driven goals within the framework of our Press Ganey scores. However, most all of the projects have established facility-based metrics which are designed to assist the Councils in seeing results quickly so as to be able to expand success. The expectation is that these changes will impact improvement in our publicly reported scores in patient satisfaction. 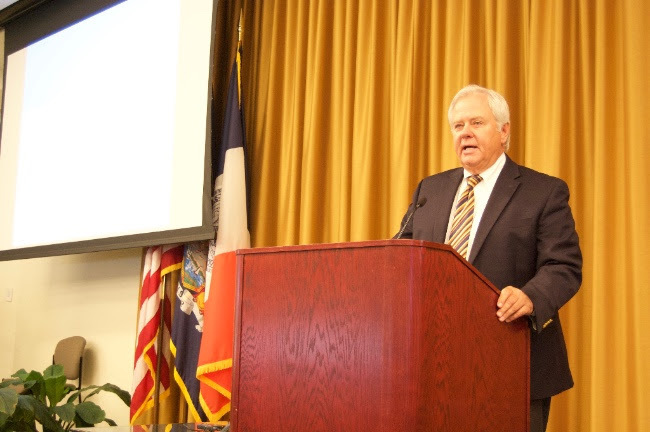 Dr. Jack Cochran, former Executive Director of the Kaiser Permanente Federation, delivers a keynote address before the joint SWCC and FBCCs, discussing the importance of doctors leading the way for organizational change. Attendees left the meeting excited that the Facility-Based Collaboration Councils (FBCCs) are starting projects to improve quality care and the patient experience through increased engagement between frontline doctors and administration. We know that this work is vitally important to H+H’s strategic restructuring/transformation plan and Vision 2020. The FBCCs meet monthly and are comprised of one Doctors Council member from each department and administration leadership, such as the CEO, CMO, COO, CFO and others. To read the reports and learn about the projects of each FBCC and for a list of Doctors Council members and H+H administration on the System-Wide CC and each Facility-Based CC, click here. Have ideas or suggestions for a project in your department or for your facility? Want more information on or to be involved in the Collaboration Councils? E-mail info@doctorscouncil.org and be part of the solution! Support the Enhanced Safety Net Bill! New York City Health + Hospitals and safety net hospitals throughout the state face a significant financial crisis. Low-income communities and immigrant communities already struggle to access health care in their neighborhoods. Overcrowded emergency rooms and hospital closures are taxing both patients and healthcare providers. Many of these community hospitals do not receive adequate funding based on the number and type of patient population that they serve. New York State has the opportunity to change that with a bill that has passed the State Legislature and is awaiting signature from Governor Cuomo. The bill would create a true definition of safety net hospitals so that an enhanced Medicaid rate will be available to those hospitals that meet the criteria and truly provide care for Medicaid and uninsured patients. Healthcare workers and community allies are standing together to show support for this bill, to educate our friends and neighbors, and to advocate for the necessary funding to provide the quality healthcare that our communities deserve! 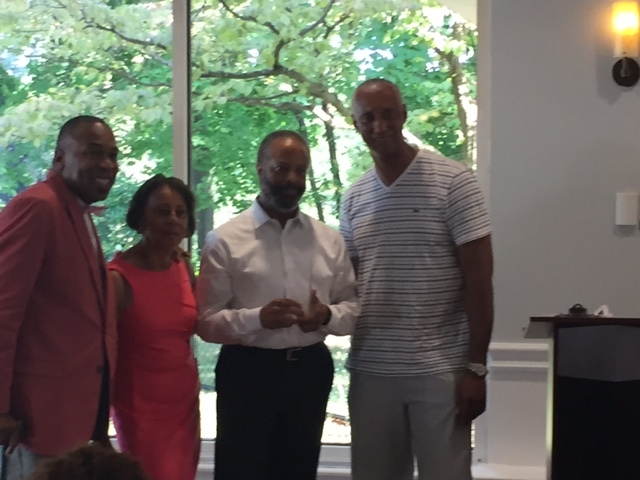 On Monday, August 15, 2016, Doctors Council member Dr. Aubrey G. Clarke, was honored with the Distinguished Healer Award at the Friends of Harlem Hospital Center 7th Annual Golf Tournament. Dr. Clarke is a leading cardiologist who has served the Harlem Community for many years and presently works as an attending physician in the department of Medicine and Associate Chief of the Division of Cardiology and Physician in Charge of the Coronary Care Unit. Considered a pioneer in the design and implementation of Primary Care Models, Dr. Clarke was the Medical Director of the Sydenham Neighborhood Family Care Center and was intricately involved in the planning and development of the diagnostic and treatment center which later became the Renaissance Health Care Network. In fact, the Renaissance Health Care Network was the name that Dr. Clarke proposed to the Community Advisory Board which was subsequently approved by New York City Health + Hospitals. 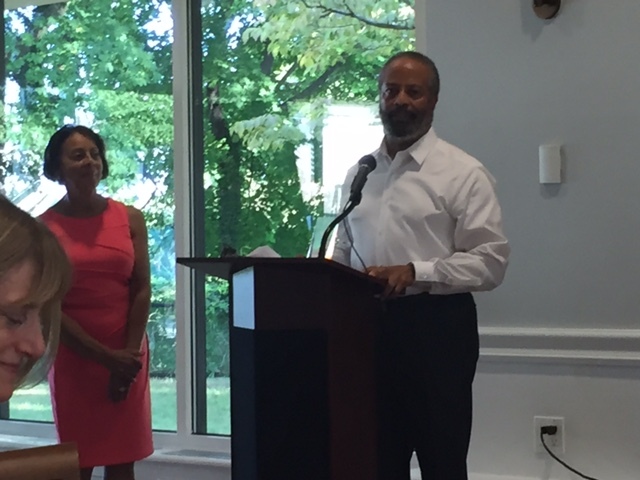 The Friends of Harlem Hospital Center Annual Golf Tournament raises funds to directly support patient care prgrams and services at Harlem Hospital Center, notably contributing over $114,000 in January 2016 for the replacement of diagnostic and surgical equipment in the Ophthalmology Clinic. Other honorees at this year’s tournament included New York State Assemblyman Hon. Keith Wright, the Rev. 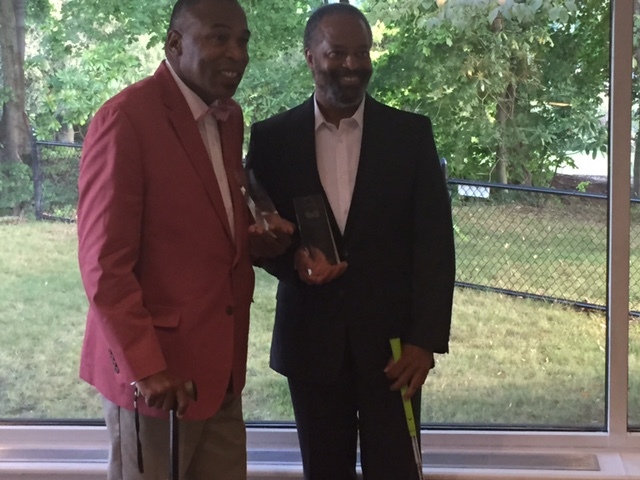 Tawan W. Davis, and community leader Corwin J. Breeden. A recent study in JAMA Internal Medicine confirms that women physicians still make less than their male counterparts. We explored this issue in a previous post, and unfortunately little has changed. As a union we believe that salaries should be transparent and openly negotiated. While this would clearly not solve the problem it would go a long way to bringing the salary differences into the light. The letter links to an impressive range of scholarly sources documenting the role of racism both as an underlying cause of health disparities as well as the role of racism in health care it self. As a union we have always called for a collective response from doctors for racial justice. We applaud the letter and urge more Doctor Council members to sign on. While there has been increasing attention on Healthcare Disparities and more centralized thinking on how to address these disparities, the problem still remains. 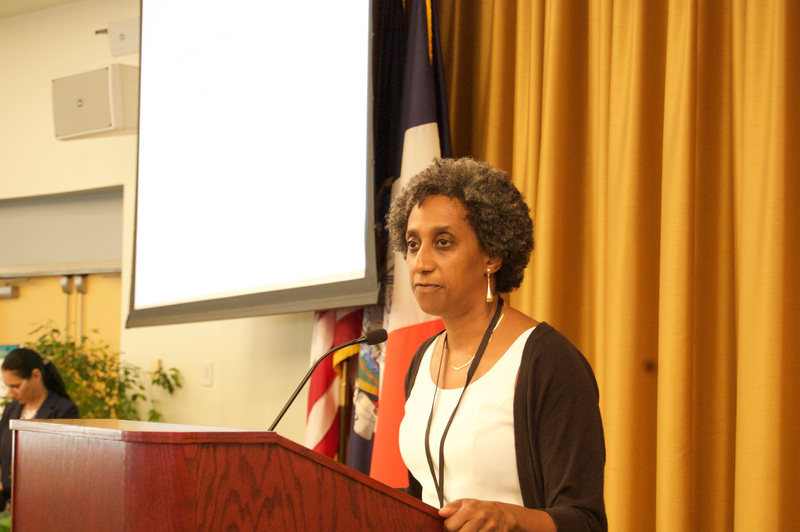 In New York City a recent conference marked the launch of the NYC Coalition to Dismantle Racism in the Health System. individuals being monitored for terrorism activity to purchase firearms. but emotional and psychological scars on families. of Congress to do the same. violence like any other public health issue. Thank you for your continued leadership on this issue.